PUPDATE- Dooie has made an amazing recovery, been neutered and even had a dental. He is ready for his new home. Dooie is a gorgeous red dapple boy. He is an incredibly sweet and gentle soul who holds no grudges against humans who failed him. When you meet him, you want to just hold him and tell him that everything is going to be ok. Now is the time for Dooie to find his happily ever after, are you the one? Dooie will need continued work with house breaking, he has never been an inside dog until he came to rescue. He enjoys walks and does well on a leash. He gets along fine with other dogs. 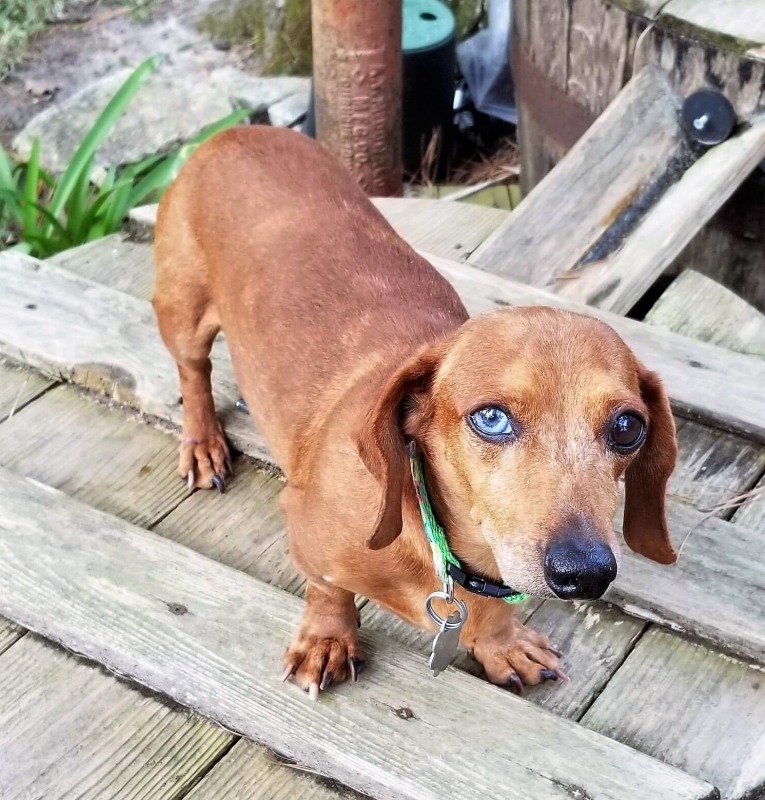 It's a another day of rescue, another call for a doxie in need. This one makes you cry. 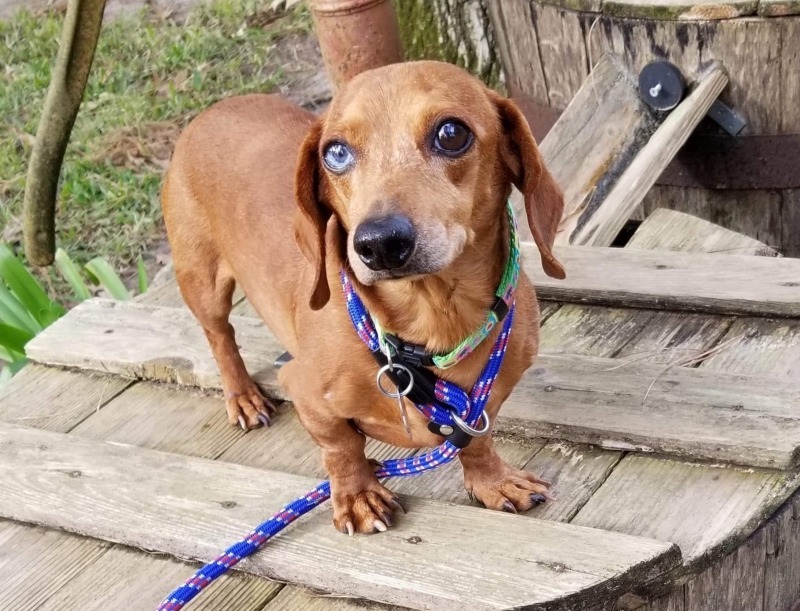 A vet calls to say "We have a dachshund that is 10 yrs old, brought in today by a neighbor. He's in bad shape. White blood count is like 42,000 and poor baby has a hole in back leg/hip/buttock area. Emaciated. Very sick. Can you help?" How can we NOT help??? Once the so-called owner signed surrender forms, we went to work with the help of this amazing veterinarian. 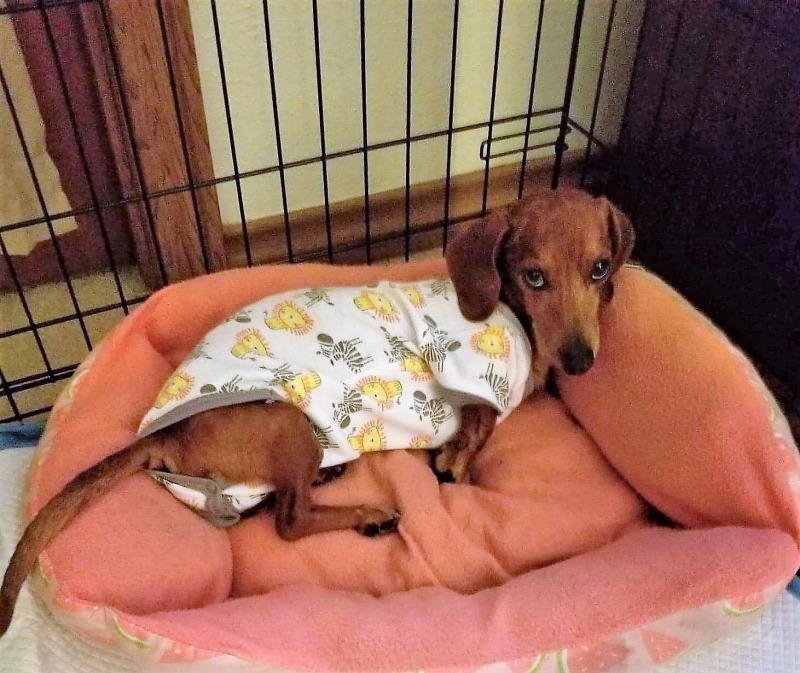 Dooie was septic due to an infected wound from a dog bite that exposed muscle and was full of worms. He was severely dehydrated , starved and only a few hours from death. He has made progress but still has a long road. He will need repeat labs, continued wound treatment, medications, and when he is feeling better , a neuter and dental. Dooie is 6lbs of sweetness. Keep in mind, he is supposed to be about 13lbs. He will be spending the holidays getting fat. (No more being starved). He has been though so much but is still an amazing little guy!